These days much is made about certain players and their respective tackle counts, with 15-20 tackles per match often cited as being very impressive indeed. 20 tackles in a game means, in effect, one tackle every 4 minutes - and if I think back to my heyday as a young, tearaway, openside flanker, that target would appear to have been eminently achievable. After all, tackling was more or less all I did, right? When you think about it, however, during a game of rugby there's a heck of a lot of time spent not tackling. 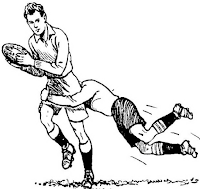 There are scrummages (in my day probably around 25 per game at roughly 1 minute each), line outs (let's say 20, at 30 seconds each), attempts at goal (say 15, at perhaps 1 minute each) plus time spent rucking (or in my case lying at the bottom of a ruck being stamped on) and mauling, running around aimlessly and standing with hands on hips desperately trying to draw breath (conservatively, 20 minutes in all?). So that's approximately 70 minutes of the 80 spent doing various things, useful or otherwise, in which I probably wasn't making tackles. And don't forget, there are two teams in a game of rugby. So for roughly 50% of the game my team had the ball - ergo no need to tackle. So by my reckoning that would have left a meagre 5 minutes game time in which to achieve my tackle count. 20 tackles is now beginning to look like a something of a superhuman effort while Thierry Dusuatoir's record of 38 tackles in the 2011 World Cup Final is simply beyond comprehension. My mind is now officially blown. 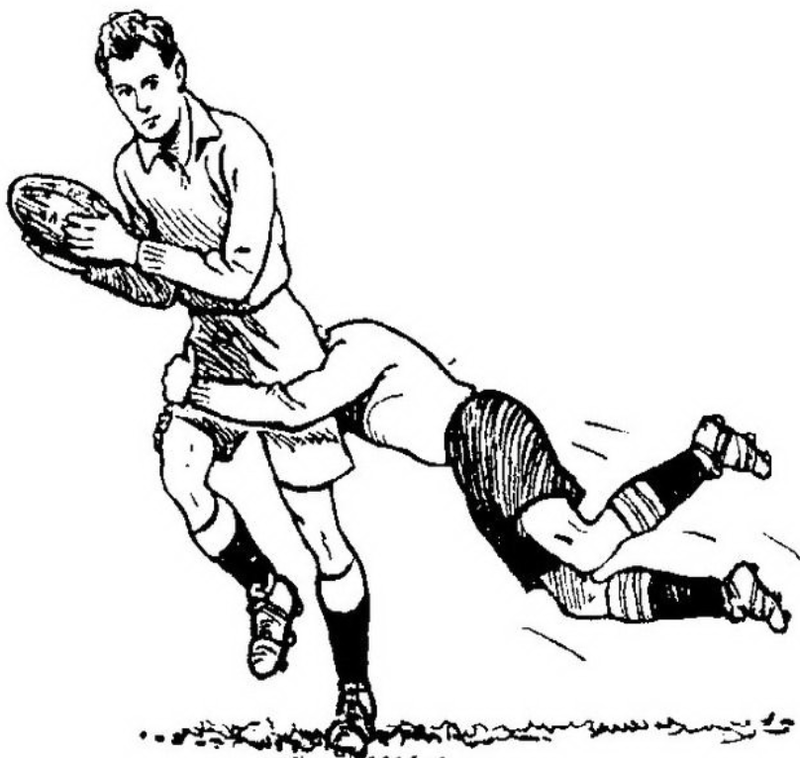 Labels: rugby, tackling, Whatever happened to? Dusuatoir's effort in the 2011 was as mind blowing, as it was brave. To think that if France had had ANY kind of kicking game in that final, France would have stunned their Kiwi hosts. 38 tackles by one person? In a game at that level? It really does defy belief, doesn't it?